Two of the world’s best strikers will go head to head in Bangkok, Thailand, as the home of Muay Thai plays host to a massive ONE Super Series Muay Thai Bantamweight World Championship bout. ONE: CLASH OF LEGENDS on Saturday, 16 January will certainly feature a pair of martial arts legends in the main event, as hometown favorite Nong-O Gaiyanghadao meets China’s Han Zi Zao for the inaugural ONE Super Series Muay Thai Bantamweight World Championship. The owner of a remarkable 257-54-1 professional Muay Thai record, Thailand’s Nong-O is one of the sport’s biggest names. In 2018, the multi-titled icon brought his brand of world-class striking to the ONE Championship stage as one of the pioneers of the ONE Super Series. In his promotional debut in April, The 32-year old defeated Fabio Pinca via unanimous decision, before dismantling Mehdi Zatout in Bangkok in October. At just 23 years old, China’s Han Zi Zao is already one of the country’s best Muay Thai competitors. 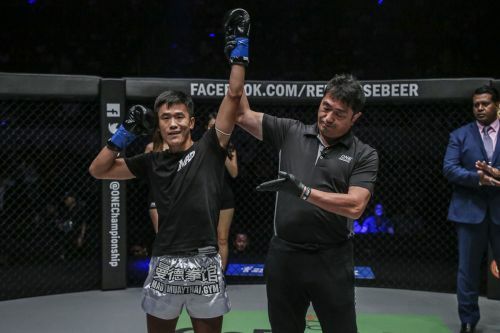 Boasting a 60-15 professional Muay Thai record, Han made 2018 his own personal highlight reel after racking up three wins on the ONE Super Series stage. The Top King Muay Thai World Champion was impressive in his debut, defeating Stergos Mikkios via unanimous decision. He would up topping that performance with a pair of stunning first-round knockout victories over Ryan Jakiri and Azwan Che Will.